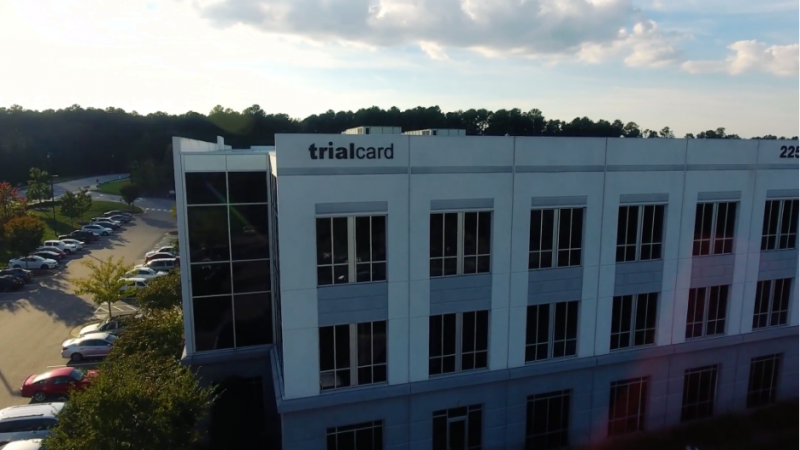 Morrisville-based pharmaceutical services and analytics company TrialCard has been seeing rapid growth in revenue and headcount in recent years and expects that growth to continue, according to President and CEO Mark Bouck. Just three years ago, the company – founded in 2000 – clocked roughly $50 million in revenue, and it’s expecting approximately $100 million in 2017, says Bouck. In terms of headcount, the Triangle Business Journal Fast 50-maker employed about 250 people a few years back. It currently has about 500 and expects to be at 600 by year’s end. In 2018, the company intends to add another 250 jobs. One area that’s been precipitating the growth for TrialCard is its product access support, or hub services, essentially assisting specialty brands in services like adherence and case management as well as co-pays and nursing support, according to the company. With many more specialty oncology drugs available than before, there is the need for greater service “along the patient journey,” says Bouck: knowing the ins and outs of medications, getting on medications, and then staying on them. Bouck notes that, five to seven years ago, drug development was about 70 percent retail, and now, it’s about evenly split between retail drugs and specialty drugs, “with the need for a multitude of different patient services,” he says. “We’ve been very fortunate to find great talent and retain great talent, which is a huge piece to our growth,” says Bouck. Specifically, over the coming months, TrialCard will be looking to build out its headcount in the following types of positions: nurses, reimbursement specialists, program managers, technology support, developers and engineers. To accommodate the growing business and workforce, the company has expanded its three locations in the Triangle area. The company recently moved into about 75,000 square feet at Perimeter Park, and will be looking to expand there. And it recently expanded by 10,000 square feet at its Miami Boulevard location, which houses its warehouse, and is looking to double its call center space on Weston Parkway to about 20,000 square feet. TrialCard’s client base ranges from large pharmaceutical companies to those that are small- to mid-size. Locally, it has relationships with the likes of Valeant Pharmaceuticals (which acquired Raleigh-based Salix Pharmaceuticals for $11 billion in 2015) and Biodelivery Sciences. “Everything that we’ve done to this point has been organic,” says Bouck of TrialCard’s growth. As the company continues to grow, however, it may look to bolt-on acquisitions as well that could add value, he says. “At some point, we’ll probably have to expand outside of this area,” he says. The company plans to open a location in Overland Park, Kansas, in the next 12 to 24 months to support its hub services area. It has a senior executive based there, and it’s very similar to the Triangle in terms of the ability to recruit, Bouck says.